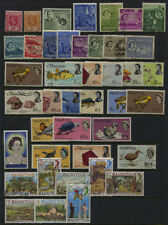 Selection of Queen Victoria Mauritius revenues used. Condition : Good Used to Used. Make Supersized seem small. Get images that. 42489 Wülfrath. The first two MH, the last one MNG. Get Supersized Images & Free Image Hosting. 42489 Wülfrath. Mauritius 5th Anniversary of Independence Signed FDC signed by Prime Minister SG463 - 465. Dispatched with Royal Mail 1st Class Letter. Year : 1859. Condition : Used. Catalogue : £125.00. Mauritius EDVII 1902 SG155, 5r Rupee Purple & Carmine/Red, Perf 14 Used. It is impossible for us to detail check every stamp in a Collection, unless it is described by the source as Used, Mint Hinged, Mint Never Hinged(UMM/MNH), etc. Rest of the World: £2. Fine unmounted mint and underated as this sheetlet needs to be collected by all 9 country collectors plus thematic football collectors. = MNH = neuf sans charnière / mint never hinged. TB = VF = très bon / very fine. B = F = bon / fine. ST = standard / average. O = oblitéré / used. = MH = neuf avec charnière / mint hinged. = MNH = neuf sans charnière / mint never hinged. = MH = neuf avec charnière / mint hinged. - tous nos lots sont envoyés en recommandé. 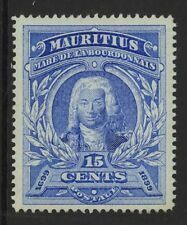 Mauritius 1921-34 Die II short set to 1r SG223/38 (exc SG235) MM - the 2c 6c and 20c have toned gum. MNG - Mint No Gum. MLH/MM (etc) - a mix of MLH and MM with the majority being MLH. MLH - Mint Light Hinged - lightly hinged no hinge remainders. Mauritius 1937 SG251b, KGVI Coronation 20c, Line by Sceptre Flaw, Mint Hinged. Used; Rose-ringed Parakeet. Mar 16, 1965. 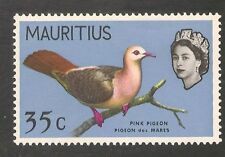 Used; Mauritius Blue pigeon (Dutch Pigeon). Dec 1, 1967. I am not able to make detailed photo’s of each stamp. MLH: Mint light marks of Hinged. MNH: Mint Never Hinged. MH: Mint Hinged. MNG: Mint No Gum. Mauritius 1855 Packet Letter (hand stamped seal) cover used to Bordeaux,France. MNH - Mint Never Hinged. MLH/MM (etc) - a mix of MLH and MM with the majority being MLH. MLH - Mint Light Hinged - lightly hinged no hinge remainders. Get images that. make Supersized seem small. MNG - Mint No Gum.